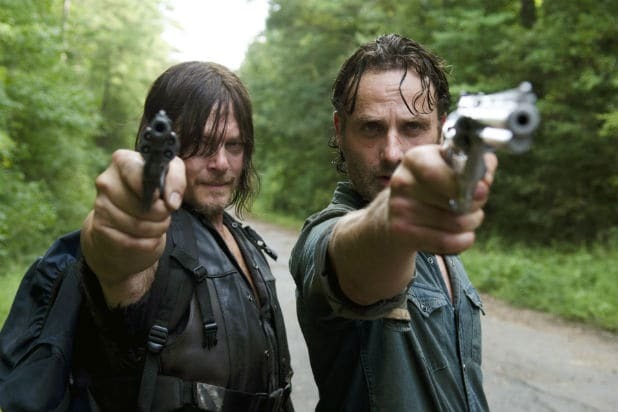 “The Walking Dead” is far from over, but could there be a big screen movie to wrap everything up when the end is nigh? Probably, according to showrunner Scott Gimple. But Gimple has high exceptions about getting some big names for the movie versions of the AMC zombie series characters. Sorry Andrew Lincoln and Norman Reedus. The idea of the show eventually becoming a movie is not a new concept to the cast and crew. Lincoln, who plays lead character Rick, also previously expressed enthusiasm for the idea. Of course, the hit show is nowhere near a series-ending movie. AMC recently renewed the show for an eighth season, and it’s still one of the most popular shows on TV. 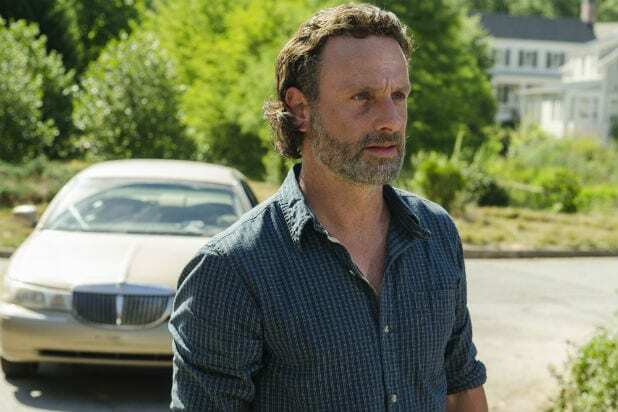 As the Season 7 premiere approaches, TheWrap takes a look back on some of the most memorable "Walking Dead" episodes that changed the trajectory of the show forever. Rick and Shane had uneasily returned to being friends, but Shane's obsession with Lori ran too deep. Ultimately, Rick killed his best friend to keep his family safe, showing the lengths he would go now that the world had fallen apart. "Killer Within"--Season 3, Ep. 4 In one of the most shocking deaths the series has ever had, Lori dies during childbirth at the prison. But what was truly shocking is that Carl put a bullet in his own mother's head to prevent her from reanimating as a zombie. The repercussions of her death are felt to this day. Andrea's death at the end of this episode was particularly tragic. She had been despised by fans for her failure to kill The Governor, but earned some goodwill for her death scene in which she said she just wanted to keep the living from killing each other. Hershel had counseled Rick throughout the season that he had it in himself to be a good man in this world gone mad. When The Governor threatened to kill Hershel and Michonne unless Rick surrendered the prison, Rick proposed that they could all live together in peace. In the end, Rick watched as The Governor cut off Hershel's head and laid the prison to waste. The ending of this episode has haunted "Walking Dead" fans since it aired. Carol knows that Lizzie is mentally unstable and can't be trusted with the infant Judith after Lizzie stabbed her own sister to death. Carol took Lizzie outside and told her to "Look at the flowers" before shooting her in the back of the head. This episode saw the group pushed to their lowest point ever. They have no food, no water, and are under threat from a monster storm. They eventually pull through, mustering all their strength to repel a herd of walkers. It is also the only episode in which a character actually uses the phrase "the walking dead"
This episode sent "Walking Dead" fandom into hysterics, as all signs pointed to Glenn getting devoured by walkers at its conclusion. Thankfully, he emerged unharmed, but the resulting social media firestorm will not soon be forgotten. Negan made his first official appearance at the end of this episode, with a chilling monologue that had every viewer biting their nails. The Season 7 finale will at long last reveal which character met their maker at his hands.